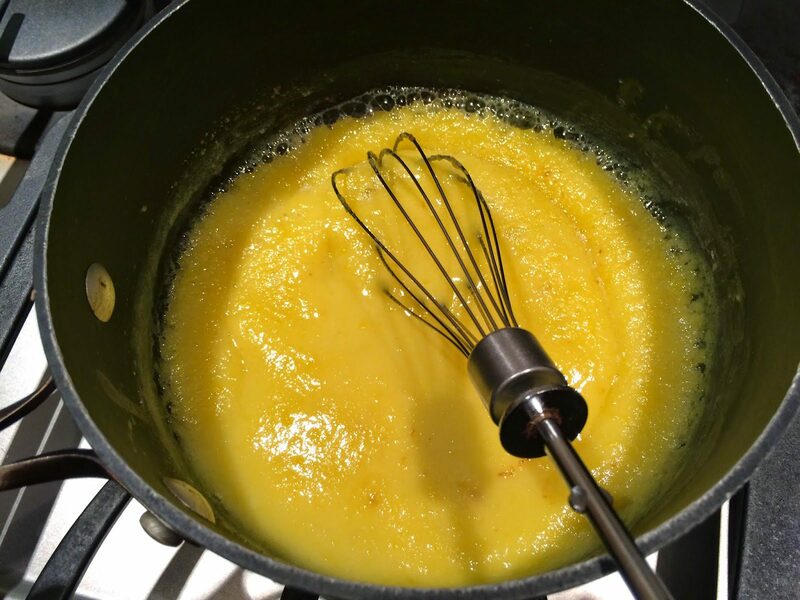 Whisk the egg yolks, sugar and milk in a medium saucepan until combined. Cook over medium heat, whisking all the time, until it reaches boil point. 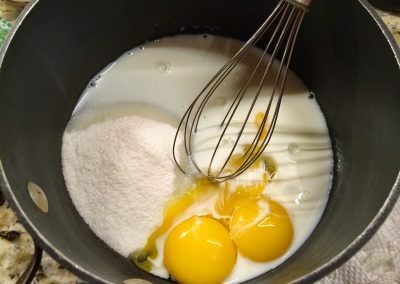 Continue cooking for one more minute. 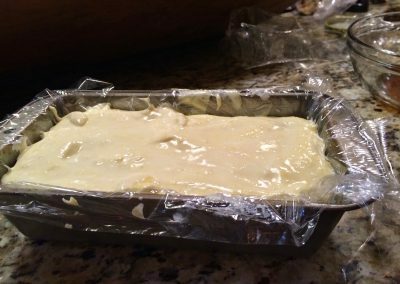 Leave to cool for about 30 minutes at room temperature followed by 1 hour in the fridge. 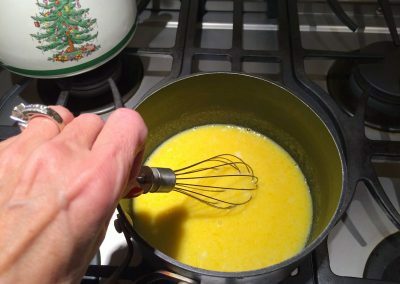 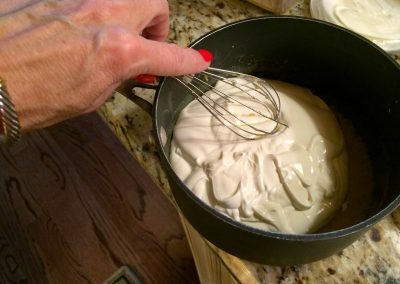 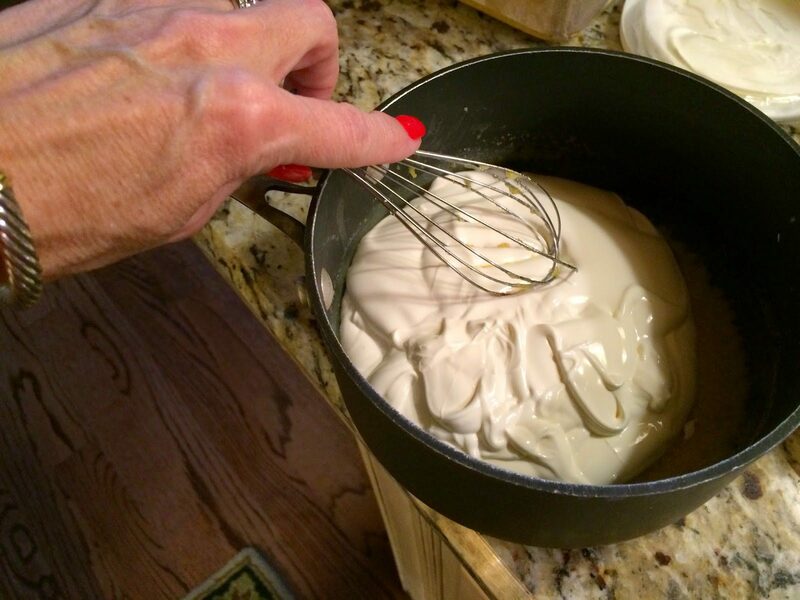 Once the egg yolk mixture is cold, whisk in 1 pound of room temperature mascarpone cheese. 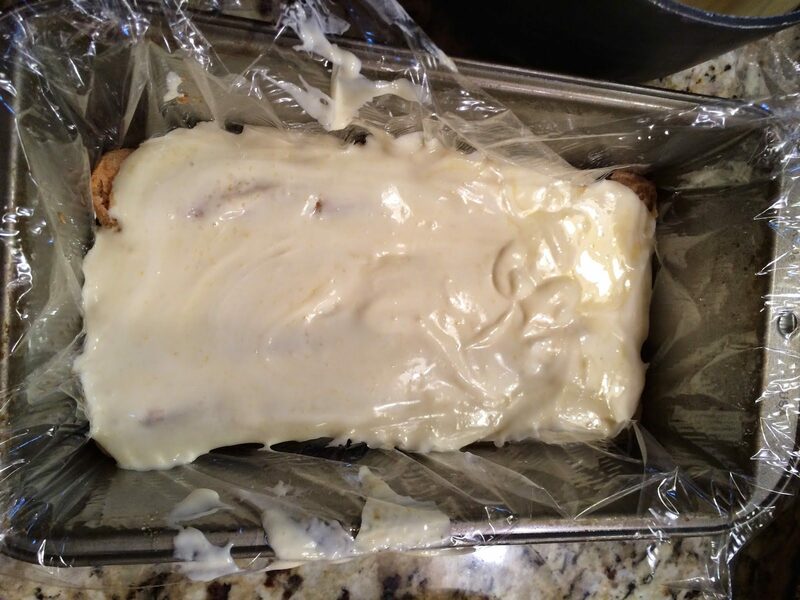 Line a 9X5 loaf pan with plastic wrap. 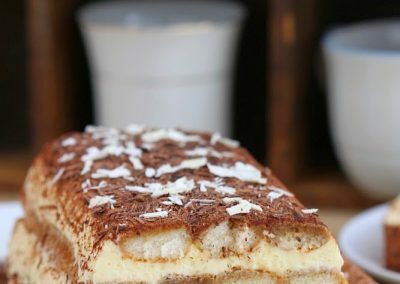 Moving as quick as possible dip one third of the lady fingers in the cold coffee, one at a time, and place them on the bottom of the pan in a single layer. 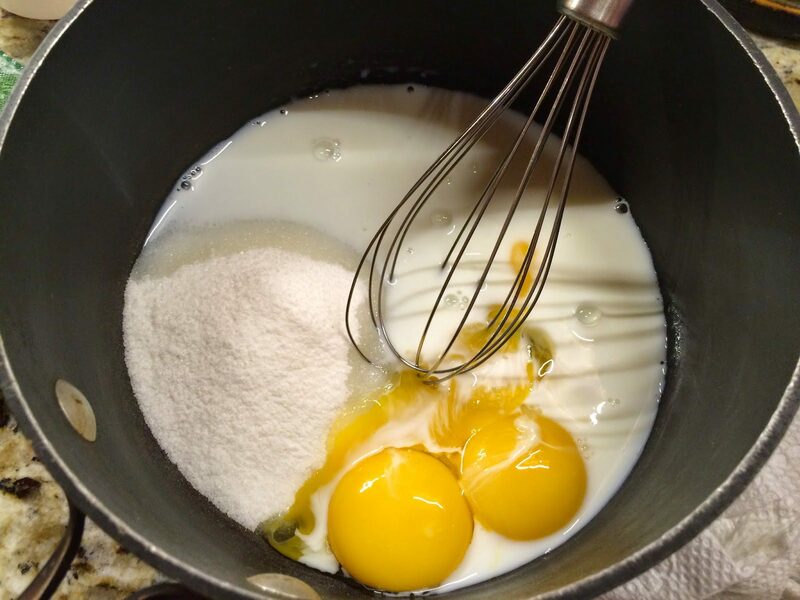 You might need to break a few to fit perfectly into the pan. 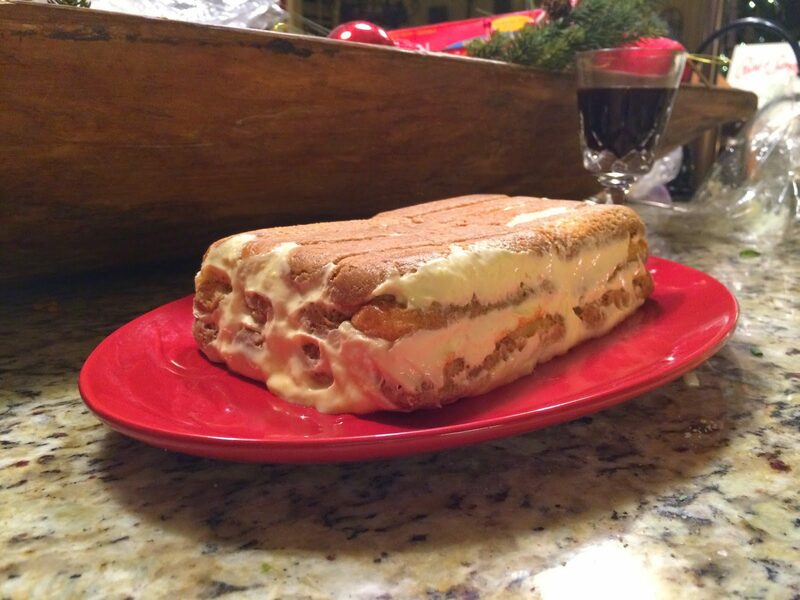 Spread almost one third of the mascarpone filling over the lady fingers. 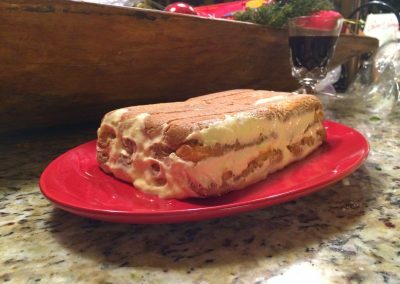 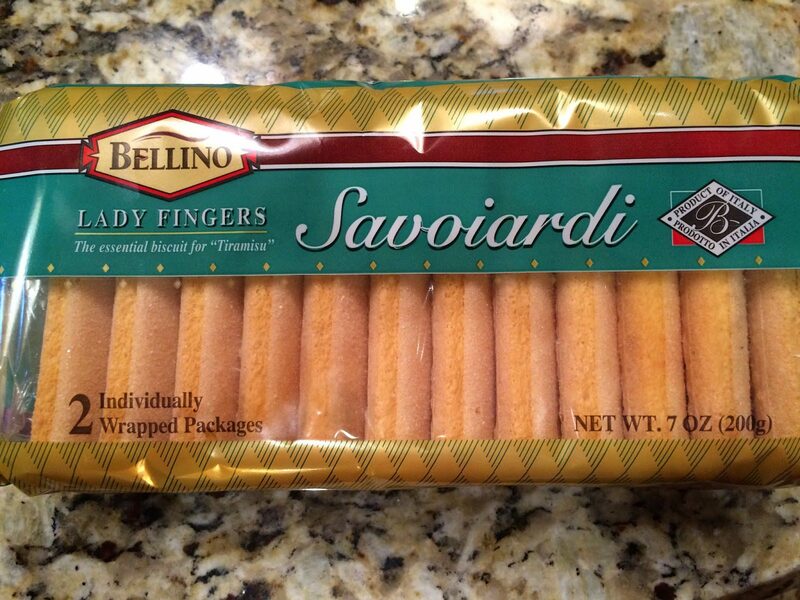 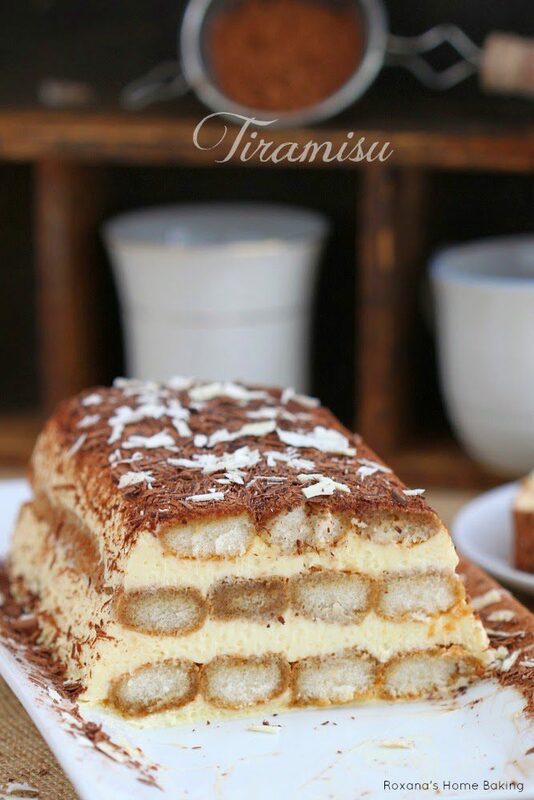 Place a second layer of coffee dipped lady fingers and spread some more mascarpone cheese on top. 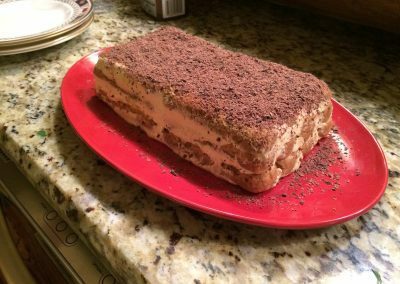 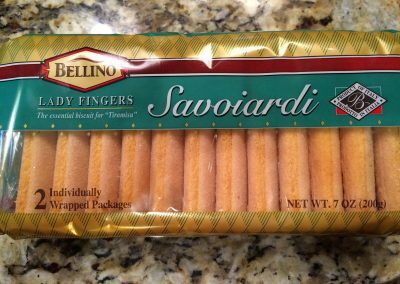 Dip the remaining lady fingers in coffee and arrange them over the mascarpone cheese.Spread the remaining mascarpone cheese. Cover with plastic wrap and refrigerate over night. 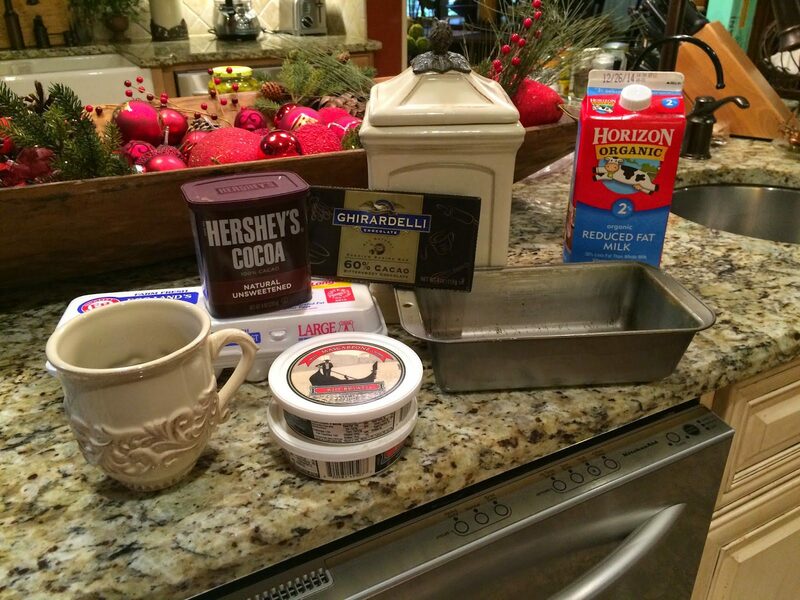 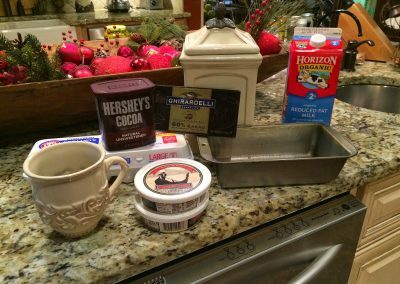 Gently flip the tiramisu onto a serving plate, and sprinkle with cocoa powder and grated chocolate on top.